14. 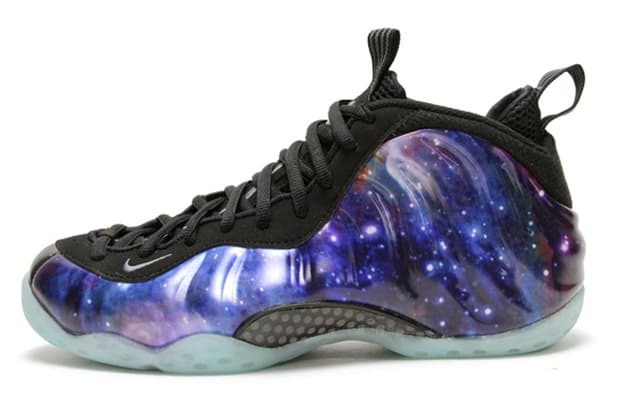 Nike Air Foamposite One "Galaxy"
Riots, resellers, and overall craziness ensued when these dropped earlier this year. The Foamposite craze has been gaining steam, but when this out-of-the-box color scheme with a glow-in-the-dark sole released, the hype reached its zenith. One eBay auction ran up to $70k, and still you can’t score a pair anywhere for under $1,500. There’s been rumblings of a restock so if you’re going nuts trying to find a pair, keep your eyes peeled.